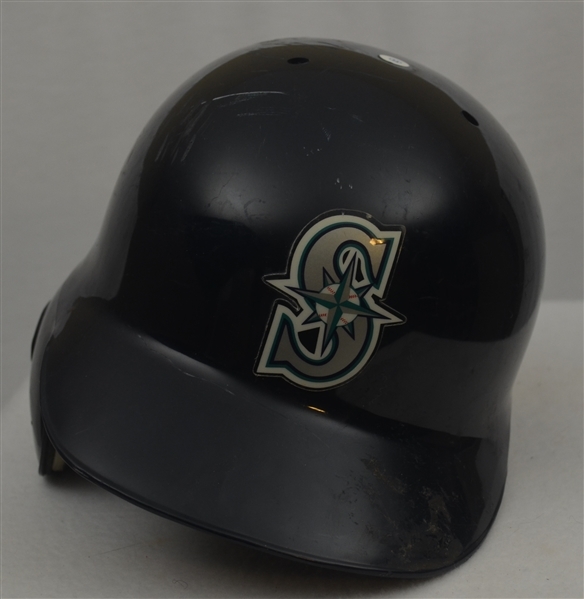 This lot features a Ken Griffey Jr. 1996 Seattle Mariners batting helmet exhibiting quality overall use. 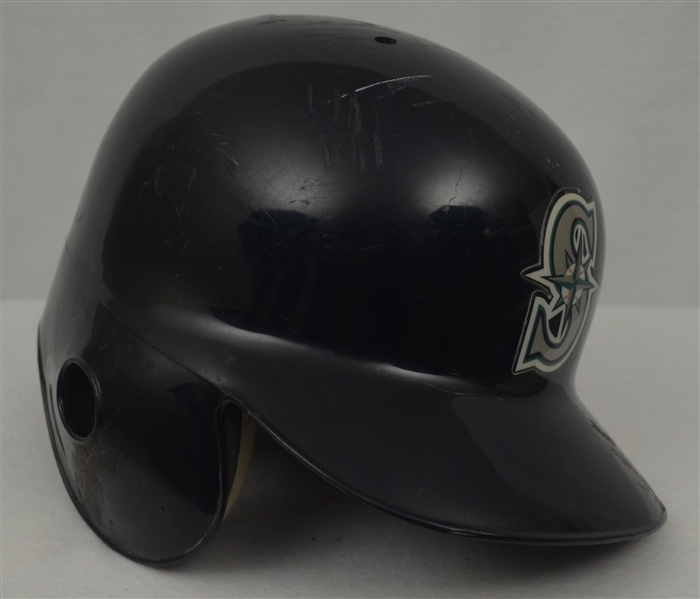 The left-handed navy blue Mariners batting helmet has the team logo decal on the front. 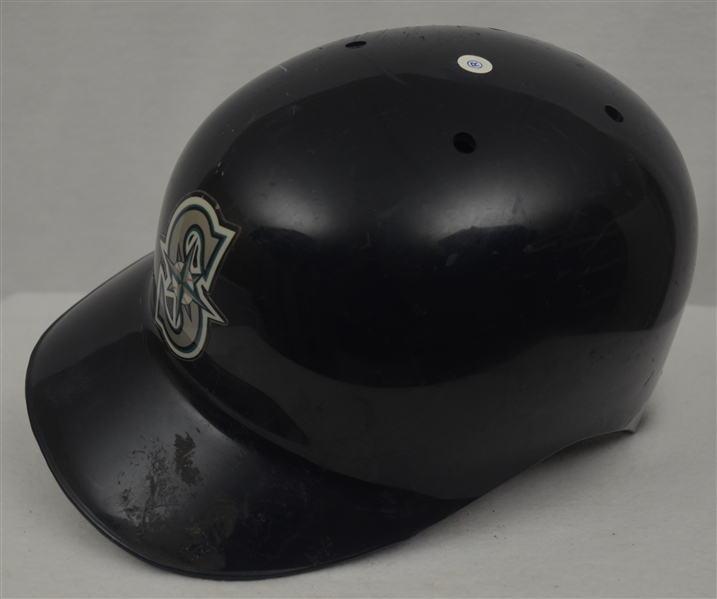 The exterior shell shows several abrasions and scuffs from use and the backside has Griffey’s number “24” applied in white numbers above the logos for American Baseball Cap Company and MLB. 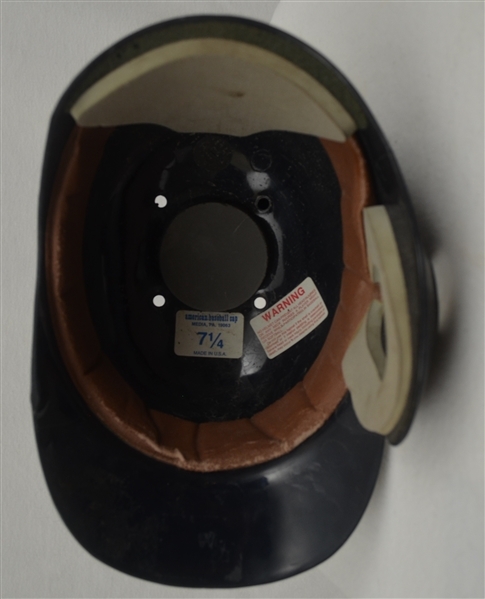 The interior has the padded headband and crown, and the latter is partially worn away. 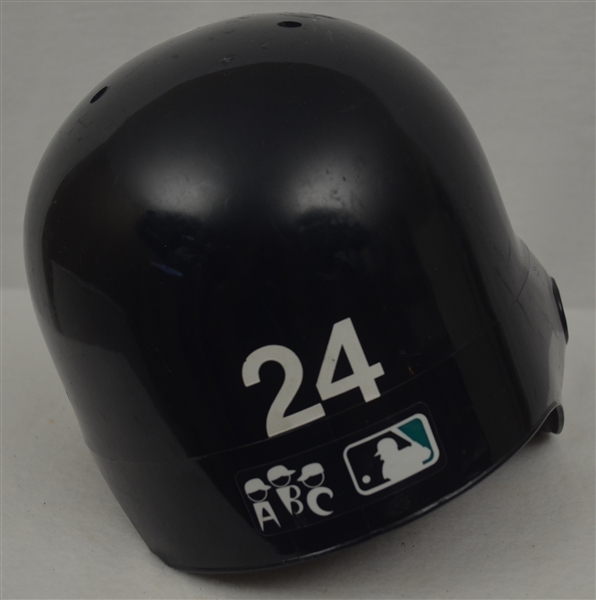 A 7 1/4 American Baseball Cap Co. label is affixed to the interior along with a Warning sticker. 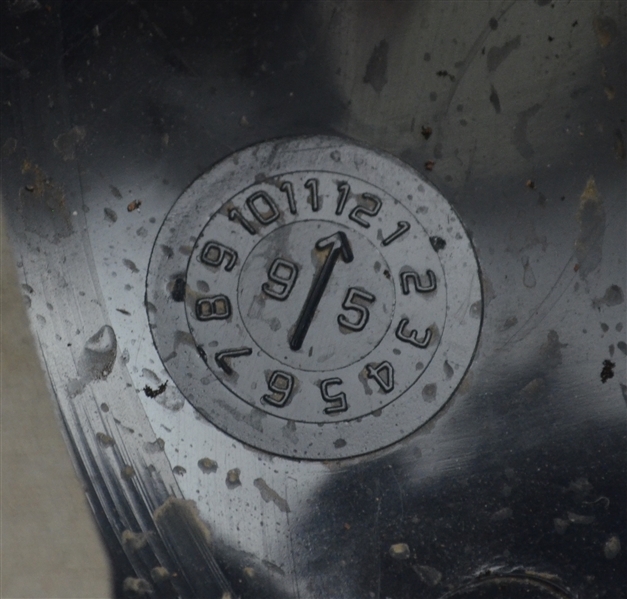 The year dial stamped into the interior shell sets the manufacturing date to December, 1995.